My name is James D. Geren, and I am a Doctor in the Alexandria, VA community. My practice is called ‘Mt. Vernon Center for Dentistry‘, and together we provide dentistry services including Cosmetic Dentistry and Family Dentistry. By the way: I am a member of the American Dental Association. 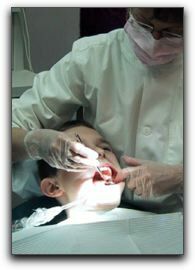 You can learn more about American Dental Association at their website located at www.ada.org.